Green Hill Landscaping started out as one man’s dream of making a bit of extra money. In the meantime, however, it has become a major local brand in the field of landscaping. 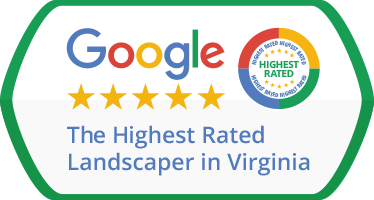 Fairfax and all surrounding areas can now benefit from Green Hill Landscaping services, with full certainty that they’d be calling on a landscaper that has the knowledge, the experience, the trained staff, and the proper equipment. All our landscape and lawn care technicians are uniformed, trained, and they speak English. Our vehicles and tools are clean and maintained and we’re a landscaping company with a vision and major aspirations for the future. We’re founded on honest principles of hard work and dedication, and plan on being in the business for many years to come. We want to continue caring for your lawns and landscape for as long as you need us to. 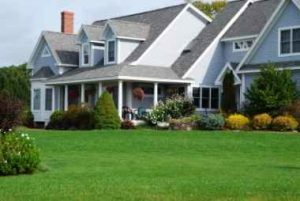 Green Hill Landscaping is the top local landscaping contractor, because the company’s top value is customer satisfaction. As far as landscape companies go, we have an outstanding track record of happy clients, which you can also browse in the Happy Customers section of our website. We know landscape maintenance, plant & shrub care, flower planting, mulching, fertilization & weed control, and even irrigation service. We’re a full service provider, which means that, when you work with us, you won’t have to juggle several landscapers at once. We, at Green Hill Landscaping value a few core principles: quality is top, which is why our services come with the best kind of guarantee in the field. Then, we believe in the power of efficient communication and, for this reason, all our clients’ inquiries are taken over by actual staff members, not by machines, and addressed in the shortest time possible. Teamwork is also at the top of our list and that’s why we work closely with you, the client, in devising your landscaping plans. We want you to be happy with the results and would never lock you down in a contract that means you have to pay for services you don’t need or want. Last, but certainly not least, we’re all about profitability – and that also involves giving you a bang for your buck. To this end, we have also implemented a convenient payment system, which allows you to pay for the work online, once it’s been taken care of.